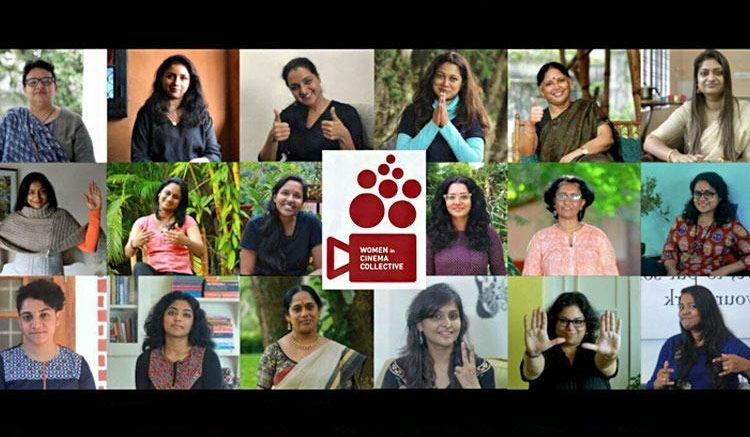 The Women in Cinema Collective (WCC) has vowed to ensure that the industry soon has an Internal Complaints Committee (ICC) as per Indian law. Following a meeting with the WCC members, Women and Child Development (WCD) Minister K K Shailaja said the state government is planning to make it mandatory to constitute an Internal Complaints Committee (ICC) for handling complaints of harassments at film sets. According to the minister, once there is any practical difficulty in constituting it, the government will weigh the idea of forming a government grievance cell. She further adds that a legal opinion has been sought in the same. “The constitution of an ICC is mandated under the Sexual Harassment of Women at Workplace (Prevention, Prohibition and Redressal) Act. But the WCD Department will legally explore the constitution of ICC at film sets,” said Shailaja at a press meet here on Tuesday. Regarding her meeting with the members of WCC, the minister said they had complained of inequality, repression, discrimination prevailing in the Malayalam film industry. The members had further stressed the need to put in place a system to hear their grievances and sought governmental support in addressing the issues that had plagued the industry. Alleging that vested interests are behind such attacks on WCC, the statement said that the people asking the questions were also those who stood with the accused in the actor assault case. The collective however also said that such questions have increased their sense of responsibility. “We will not be able to progress even one step further without constituting the ICC. We also will not take even a step back until it has been set up,” the statement said. “There should never be a situation where a woman falls into trouble or becomes a victim of sexual harassment here. We stand here to ensure just that. We are taking the effort to constitute an Internal Complaints Committee in the field of cinema – by viewing the field as just another industry – to handle the grievances of women. The ICC is mandated by the law in all workplaces, to handle issues related to women. The fact that there is no provision for an ICC in this 90-year-old movie industry in itself is unfair.” reads the statement. “The ICC is a place to resolve the grievances of not just the actor who was assaulted or the actor who came forward with her complaint yesterday, but for each and every such person’s complaints. She also said that the film industry’s attitude gives the notion of a very patriarchal space. Women are seen just as incidental to space and men participate more actively than women. All these and more issues have opened up after we formed WCC. We insist that if a director has two or three assistants, then one or two of them should be women. In the policy-making body, there have to be 50% women. WCC is not a redressive forum, but we are asking these questions so that women go to their organizations and talk about such issues. “Working in the industry is not a 9 am 5 pm job and therefore one almost always needs to work overtime. However, working till late at night can lead to many security issues for women. Any taxi driver may take you home late at night, but is that good enough for you as a woman? What if something goes wrong? Whom would you go to if something does happen? Here we see a lack of mechanism, because there isn’t one. Pejorative messages, emails, gestures, casting couch, inappropriate behavior on the set; these are just a few instances of sexual harassment that a woman is subjected to. So, we need to form a redressal cell to solve and discuss these issues.” Bina Paul added. Meanwhile, director Aashiq Abu, who along with his actor wife Rima Kallingal runs the production house ‘OPM Cinemas’ has announced that all future projects undertaken by the company will have an Internal Complaint Committee (ICC) to address the grievances of women working on them. Director Vineeth Sreenivasan appreciated Abu’s move, and commented that he would be following suit. While film industries have had associations for the welfare of women, setting up an ICC for a film is unprecedented. As a result of the ongoing #MeToo movement, The Producers Guild of India convened a meeting on Tuesday and set up a committee to address the issue of sexual harassment at workplaces. Actor Vishal who heads the Tamil Film Producers Council said that his organization too would be setting up a committee to look into problems of sexual harassment. “ An off-day game”: Brutally realistic and strongly political cinema till date. Be the first to comment on "Kerala: Government and film industry comes forward to constitute Internal Complaints Committee at film sets"